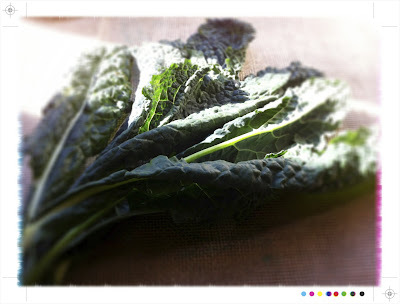 One of the nicest things about this time of year is the appearance of delicious and hearty Winter greens. I spotted the first cavolo nero, or tuscan kale, of the season and couldn't resist making the most of it and enjoying the first of the Winter greens as in a few months I will be craving the onset of Spring and asparagus. 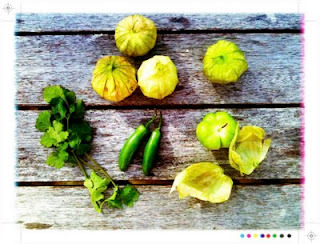 Italians have enjoyed this tasty green for many generations. Like its sibling kale, cavolo nero is a member of the brassica family and is a popular ingredient in many Italian dishes from soups and stews to pasta dishes. And the good news it is now a lot more readily available in New Zealand. * It is very versatile; great in a hearty robollita, that classic Tuscan soup or even in a salad and not to forget it can even be made in to chips! 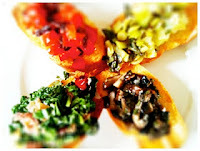 A favourite for me is some sort of crostini or bruschetta and it makes for a tasty lunch. 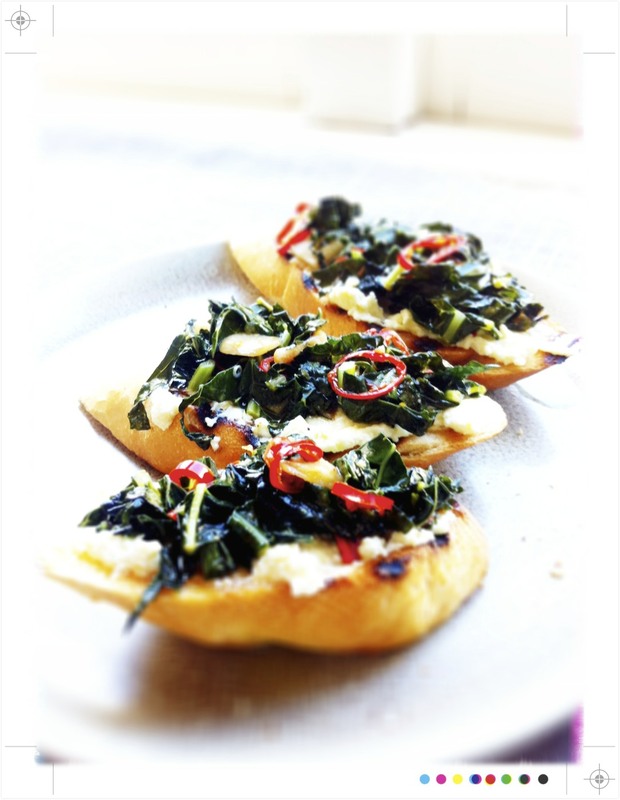 Like the Italians I like to keep it simple and grilled bread topped with a little ricotta, or homemade fresh cheese, and a mound of chilli and garlic infused sautéed cavolo nero drizzled with a little lemon olive oil is the perfect Winter lunch. *In Auckland Art of Produce or Huckleberry Farms usually have some in stock when in season. Place a colander lined with muslin over a bowl. Place the cream, milk and salt in a saucepan and bring to a rolling boil stirring occasionally. Turn off the heat and add the white wine vinegar. Leave it stand for a minute and thick curds will form. Pour the mixture in to the prepared colander and leave for 20-25 minutes. After 20-25 minutes place in a bowl and refrigerate until you are ready to use. The cheese will keep until the use by date on your milk. 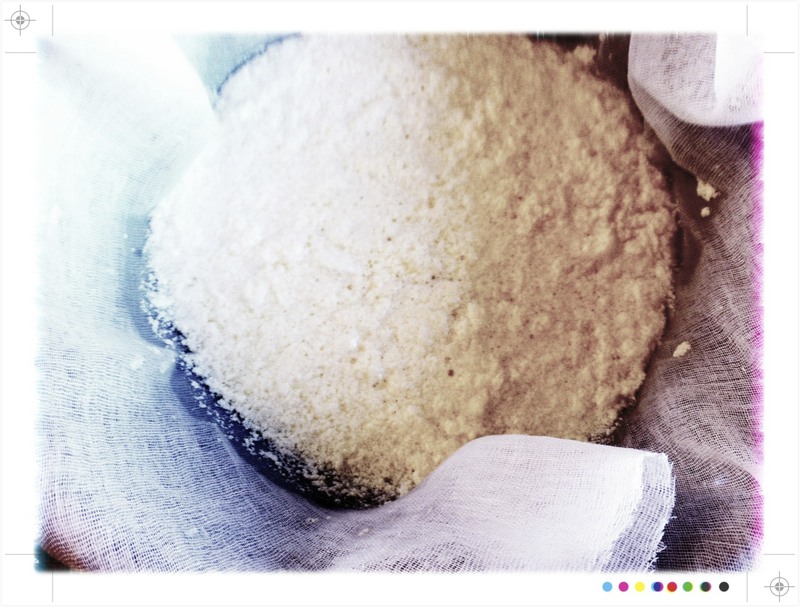 If making the "cheats" ricotta follow the directions above. Trim the kale, removing andy tough stems and ribs and roughly chop. 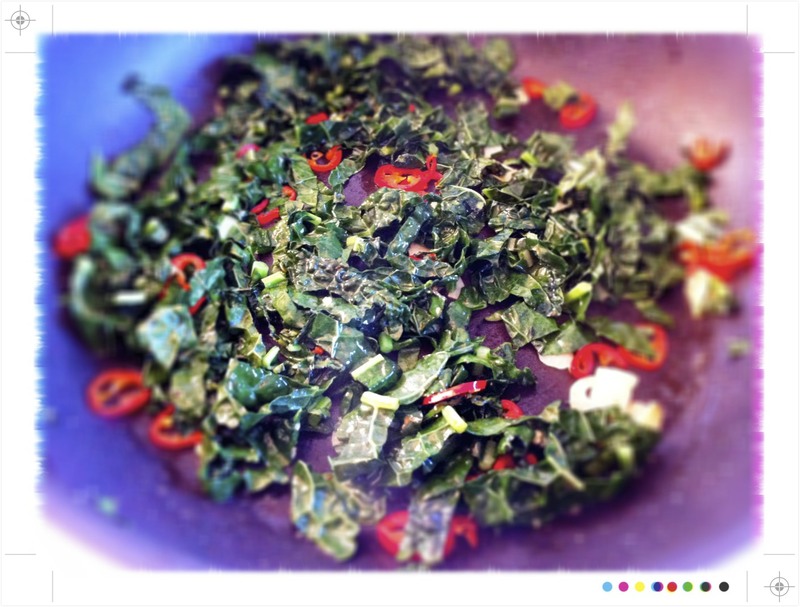 If baby cavalo nero you can just roughly chop. In a large frying pan add 2 tablespoons of olive oil and heat over a medium heat, add the garlic and chilli and sauté for a couple of minutes. 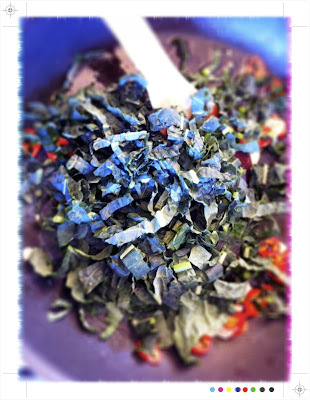 Add the cavalo nero and sauté for 5-7 minutes until it starts to wilt Season with salt and pepper, add 1/4 cup of water and cook for 15-20 minutes until the cavalo nero is tender. Just before serving stir through a teaspoon of lemon zest. For the bruschetta slice the baguette on an angle in to thick slices. Brush with a little olive oil and grill until toasted. Rub the grilled bread with garlic. 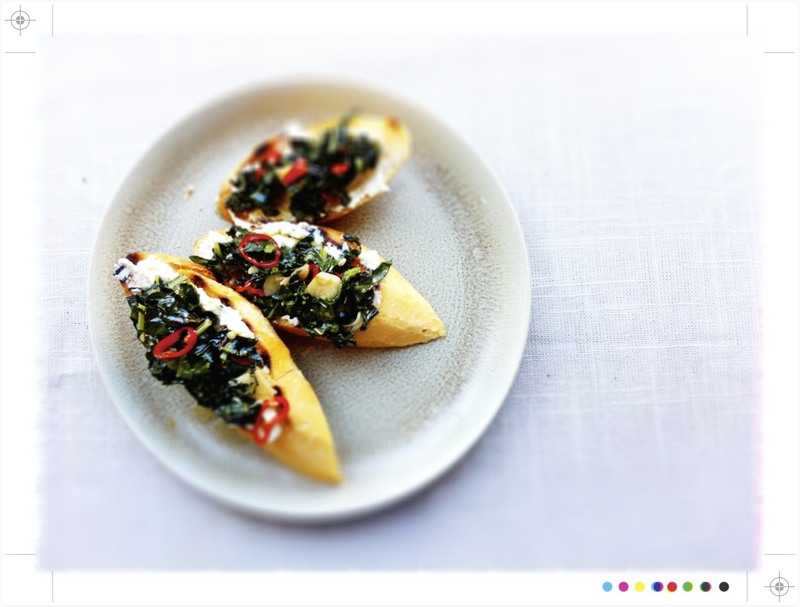 To assemble spread a little ricotta on the grilled bread and top with the cavalo nero. Drizzle with a little lemon olive oil and lunch is served. Crunchy grilled bread with just a hint of garlic, cool creamy cheese topped with greens spiked with chilli and garlic all brightened with a little lemon zest and drizzled in lemony olive oil is most certainly greater than the sum of its parts. I love your posts - so fresh and colourful and so creative. These look delicious. Thanks Julie, this one was especially good....a great way to use some of the winter greens. I love this! I love how you paired the cool, creamy ricotto (and homemade!! Cheats or not I am impressed) with the garlicky, hot flavors and the wonderful kale. Really a perfect lunch or snack. Thanks Jamie...the cheese really is too easy, but quite delicious especially spiked with a little chilli....it is also pretty good with a whole bunch of herbs & some garlic stirred through it...a sort of Boursin Light....not as good as the real thing of course! Mmmm, Mairi, this looks divine! I think I could eat this combination of flavors everyday. Your photos are lovely, too. 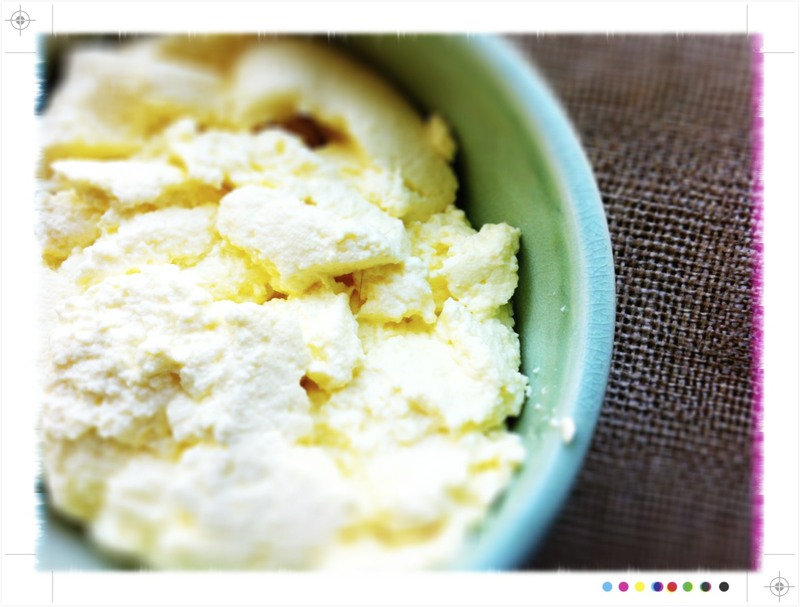 I love making my own ricotta! Greetings and Thanx from a bavarian countryside hermit/ Absolutely inspired by this posting I sort of re-cooked this recipe today with some of the cavolo nero from my own garden/ Combined it with a fresh tomato salad a la italiano (which uses "real", for instance homegrown, tomatoes, and so can ask to leave any additional acidy components, lemonjuice etc., away, to not spoil the exquisite taste of the fruit in question). The hit of it, though, for me, was the "'cheat' ricotta" then. I found it even better than the so-called "real thing".